TACA has been reporting on the potential effects that the proposed DSM-5 changes, which eliminated PDD, PDD-NOS, Asperger’s Syndrome, Childhood Disintegrative disorder and others, from the DSM since 20111. Now, we see the first tangible proof2 that the new diagnostic criteria will reduce the number of those diagnosed with autism spectrum disorder (ASD), thus losing vital services. This new study, the first of what will be many, shows a 19% drop in those diagnosed with ASD. Read here for studies3 that show a potential of up to 80% of people with Asperger’s and PDD losing their diagnosis and services without the autism label as the DSM-5 is fully implemented. The study also showed that the 19% who didn’t fully qualify for ASD only missed it by only ONE criteria4, so they still had significant issues, just not enough to qualify for the newly defined ASD. Unfortunately, these 19% would now only qualify for the diagnosis of Social Communication Disorder5, aka SCD, which at this point means nothing as there is no curriculum, no services, no therapies, no insurance coverage, no help. Changing the diagnosis doesn’t somehow “cure” them of their challenges, but now, they don’t qualify for the any help. This SCD diagnosis is an equivalent of no diagnosis until standards of care and therapies are provided. 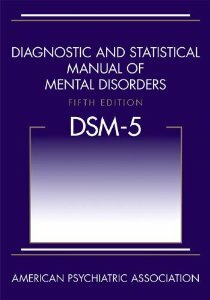 The new diagnostic criteria under DSM-5 went into effect May 2013. It is already being used to deny insurance coverage, educational placements and services6 to people who don’t fit into the new definition of autism. Several states have passed or are working on passing legislation that will allow both DSM-IV and DSM-5 diagnoses so that those with a current diagnosis won’t lose their services. Unfortunately, it’s only a few states and all of the Autism Speaks’ sponsored insurance bills, in 34 states, disallows DSM-IV diagnoses7 so people in those states will be limited to this new definition for all new diagnoses. Both AutismSpeaks8 and the American Psychological Association (APA)’s DSM-5 committee9 clearly have stated that no individual previously diagnosed with autism should be required to be re-evaluated under the new criteria. Yet some insurance companies and school districts are already requesting these re-evaluations. From the IACC10 “Services should be based on need rather than diagnosis; it would not be appropriate for a child to be denied ASD-specific services because he or she does not meet full DSM-5 criteria if a qualified clinician or educator determines that the child could benefit from those services.” But of course, that’s what’s happening already. Despite the promises from proponents of the DSM-5 changes, what we feared might happen is happening. Please read here to learn how to safeguard your child’s services in case they lose the ASD diagnosis11, 12. It is Autism Speaks insurance legislation that will prove to be very harmful to tens of thousands of families and individuals living with autism. Their bills all defer to the latest version of the DSM. To all you go along to get along silent mommies out there or those whose organizations take the $5000 grant from Autism Speaks and play nice with Autism Speaks it is your inaction that is responsible for thousands of people with ASD being harmed. Your own kids future will be negatively impacted by this inaction. I see higher functioning people employed who are going to lose their jobs. Light it up blue? These bills are no good, provide little or no help to most and are written and endorsed by the insurance lobby. As someone who worked on this issue weekly for the past 8 years I have witness first hand what autism speaks is all about. Our kids need services and adequate health insurance which includes OT, PT and Speech. If you are serious about understading this issue I ask you to read these bills and proposed bills by Autism Speaks. Why age caps? Does the ASD policy holders medical needs end at 6 or 21 years of age? Financial caps? Are these states cutting off insulin coverage to a person with diabetes? What good is 50K in ABA if the child regresses because speech is capped at 10 or 20 visits per year and they lose language? Don’t they then become a larger burden on the tax payers? Is it more likely their parents can earn a income? We can all whine about our concerns for the future of our kids and others with ASD, but until we analyze what is happening and decide to act families will suffer. It will not change until the parents make legislative advocacy a priority. No one in the community shows up at the statehouses and challenges these discriminatory bills that do little or nothing, yet our community cheers these bills because of the title “autism insuarance legislation” Our 2010 Autism Speaks/ Insurance industry bill threw our kids under the bus. We organized and thanks to groups like TACA and Autism Action Network convince a lifelong legally blind Governor to veto a bill that he knew was pandering insincerely to the issue, while it cause greater harm. It is time to declare war on Autism Speaks. The small organizations have some real soul searching to do. Are you going to cash that check to harm those your organization was set up to help? We need to repeal all these autism bills that will defer to the DSM5. I say this not as someone being a loose cannon, and without great considration,but, as someone who has battled them in the legislative arena of autism insurance coverage. When Autism Speaks very influential lobbyist (former gubenatorial candidate) company represents over 150 insurance companies are they really concerned with the needs of children with autism? When Aetna, who is in the health insurance business and financial services business , is not opposing a autism insurance bill, do you think it is really expanding coverage? It seems to me the Wrights have lost control of the organization and their original mission. TACA was started in 2000 with a very specific mission. To add advocacy we would need to alter our mission and the most important thing raise funds to support it so we can be successful. Item two: IRS Regulations: Non-profits are regulated by the IRS. As a 501c3 we have limits on legislative and political activities. You can read those details here http://www.irs.gov/Charities-&-Non-Profits/Charitable-Organizations/Political-and-Lobbying-Activities . The requirements limit funding and activities to 5% to maintain 501c3 status. If we changed our mission 5% of TACA’s budget would not cover an annual salary let alone expenses for an effective advocacy effort. Item three: FUNDING: TACA is one of 3,000 nonprofits in the U.S. with “autism” listed in the mission statement. Autism is the least funded disability in the US federally and privately through non profits (reference http://www.tacanow.org/family-resources/latest-autism-statistics-2/.) We would appreciate any help in increasing funding to address important issues that help families. Item four: since there are 3,000 non profits in the US with autism in their mission I would like to suggest you partner up to create a solution for families on this important issue. Fundraising is needed as a first step. Second is a clear plan on how to address the issue of insurance legislation. I encourage you to take the steps to move things forward for families. Lastly I would like to let you know there is no donor that equals greater than 5% of our annual funding. We are happy to share who is a sponsor of TACA and appreciate their support. Let me be clear: at no time is TACA’s endorsement available for a donation. We do not alter our mission or how we support families based on a check. Our mission has been in place for over 13 years and hopefully we can continue that mission in supporting and educating families. We would welcome the help. How about you address the DADDIES as well as the mommies? Whole family units need to be standing up for what is right! Mothers have spearheaded these issues alone for far too long. We are EXHAUSTED. Imagine how much more could be done if fathers stood up and lent their voices alongside the mothers! WE NEED YOU AS FATHERS, HUSBANDS, and GRANDFATHERS to SPEAK UP!!! Jennifer, I used to Mommies comment based upon the fact that the small organizations taking those grants boards are mothers and many refuse to acknowledge the harm being caused by the Autism Speaks DSM insurance bills . More dads need to be involved and many are. You need to realize most dads are tired and go above and beyond for their families and children. Lisa, As a small business owner and member of a non profit I understand the order of funding and the mission needing to be managed to be most effective to the organization. My point and where I would like to persuade you to consider changing direction is that in order to focus on families effectively and to reduce harm caused by bad public policy the autism organizations will need to address legislatures effectively and somewhat immediately. Our community has consistently come up short in that arena and families suffer because we are not proactive at the state level. As policy changes and causes more harm it will be increasingly difficult for great organizations like TACA to help all the families being harmed. I can say with great confindence we changed public policy without spending money in New York. We convinced parents to make the calls while we were proactive writing and getting the legislation introduced. The DSM5 needs to be addressed with getting legislation passed that reduces the great harm that we are just beginning to see. It is legislation like the like below that we passed in one house and we hope to get signed into law this year. I hope states like California and others will consider other efforts. I appreciate all your organization does. Without a greater focus on legislation with the DSM5 many of your members and families with autism will be harshly affected. Lisa and TACA members, Insurance legislation that effectively covers what people with autism need and what the scientific community supports cannot be achieved by coverage based upon the DSM5 or latest version. It is Autism Speaks whose authored and sponsored legislation bases coverage on the DSM5, a private publication. They impose and support insulting and discriminatory coverage based upon age limitations and annual spending limits, regardless of the medically necessary needs of the policy holder with autism. What good is insurance if it is not going to cover what you need and when you need it. There is real pain out there. Most reading this blog are aware of it. A clear plan with a knowledge of the challenges in addressing insurance coverage are something I have worked on the past 8 years. As one of those 3,000 non profits, I also support and serve on a board of one of the only autism 501©(4) political action committee organization. Autism policy will not change without a serious and dedicated autism lobby that regualrly engages state legislatures and federal policy on the affordable care act. In my state of NY we are were very close in passing a good DSM bill. The good bill past our Assembly, but, fell short on a Senate same as bill. 99% was resolved, but, we are back to a new session with the APA lobby and insurance industry. It is a david and goliath battle we have fought effectively before. We need more proacvtive support in the area of legislative advocacy and lobbying. Funding to address genuine lobbying with person centered results are needed. Convincing the non profits and parents that this needs to be a priority has always been a challenge. The political pressure to cut funding, insurance coverage and services has been carefully crafted into the the DSM5. We are seeing the fallout and it is just getting started. I hope TACA will strongly consider increasing its effort and funding to legislative advocacy. Thank you again for all TACA does to help people and families with autism. You are missing my points. Funding and changing mission. It happens in that order. Since 2011, TACA has had dozens of alerts on DSM 5. Not sure what else we can do without more resources. My focus will be on families first. I wish you all the best in solving this issue. We will be happy to be part of a plan when available.